Spend your days in a place that is situated near ancient artifacts, overflowing with natural beauty and displaying contemporary styling for a memorable visit. 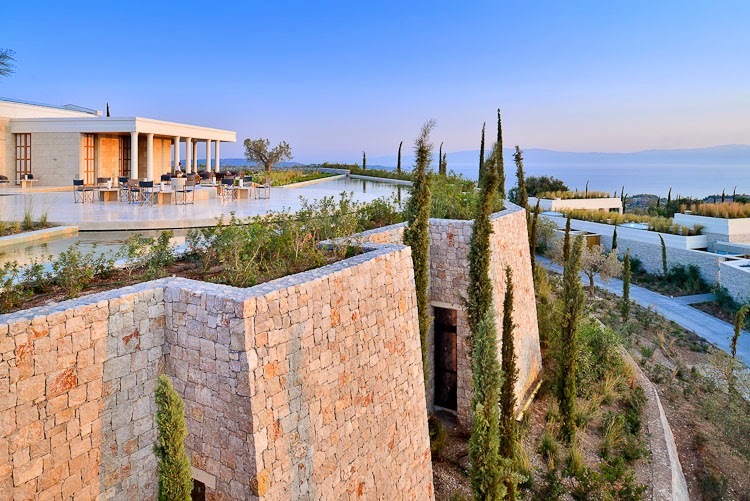 38 suites and villas situated on the hilltop in Kranidi, Greece are the epitome of luxury. 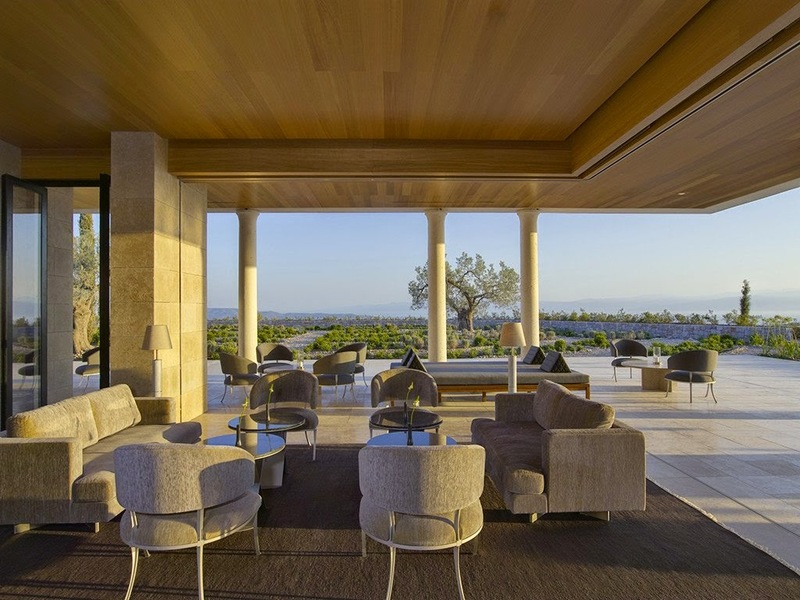 Aman Resorts has created Amanzo'e, a fashionable resort that offers limitless luxury and panoramic views for and exceptional stay. Greece is a country rich in history, offers splendid cultural experiences and delightful culinary options making it one of top places to travel. 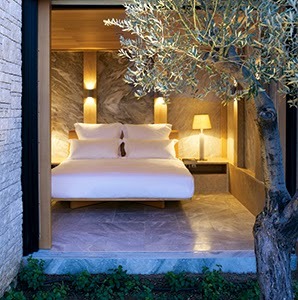 Amanzo'e is nestled amongst gorgeous olive groves and overlooks the azure blue waters of the Aegean Sea. Designed to mimic classical Greek architecture while also featuring modern decor, this remarkable resort is a real stunner. 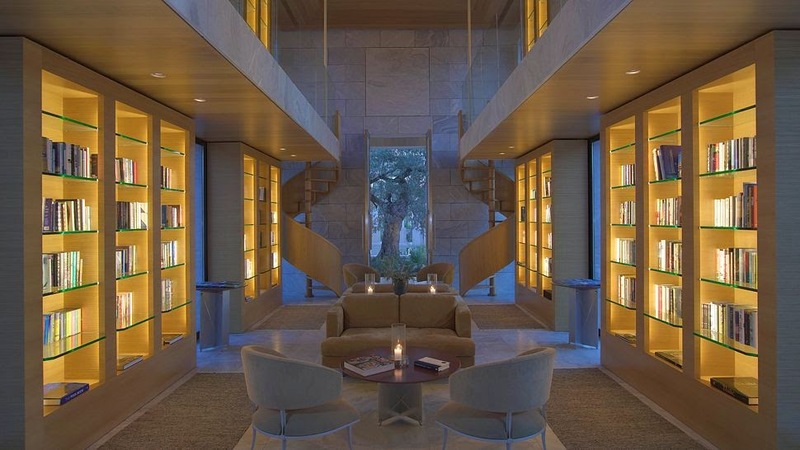 Filled with many of the conveniences common to Aman Resorts, like the library, fitness facilities, pavilions, boutique and the relaxing Aman Spa, guests are sure to enjoy their stay. Patrons can also sit poolside for a relaxing afternoon or head to the private beach club that sits near the shoreline. Greek food is a favorite around the world, and the dining at Amanzo'e does not disappoint. Visitors can dine alfresco on the large outdoor terrace or head inside where floor to ceiling windows and an airy design are welcoming. The mild Mediterranean climate makes this glamorous destination a great place to travel year round, and the amazing on-site amenities ensure a fabulous time will be had by all. When booking a stay and stumbling across the right site, guests can enjoy Exclusive Complimentary Perks for an amazing deal. These perks include a continental breakfast for two daily, a room category upgrade subject to availability, a $100 USD hotel credit and options for an early check-in and late check-out. 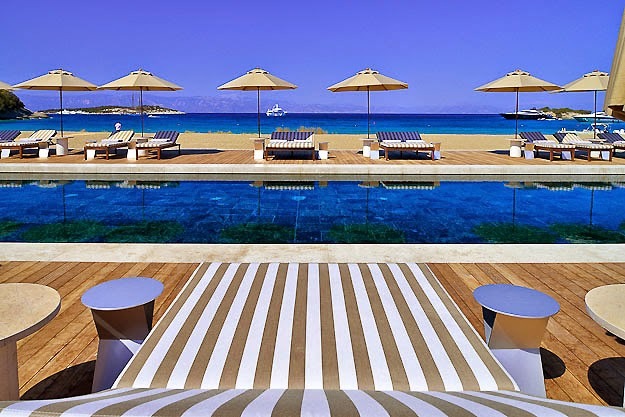 Greece has a number of spectacular resorts that boast beautiful grounds, and top-notch service, and Amanzo'e is one such spot that is sure to captivate and tempt a return visit. Amanbagh in Alwar is Simply the Best!